The latest edition to my winter wardrobe is the above navy smock dress from Cos. 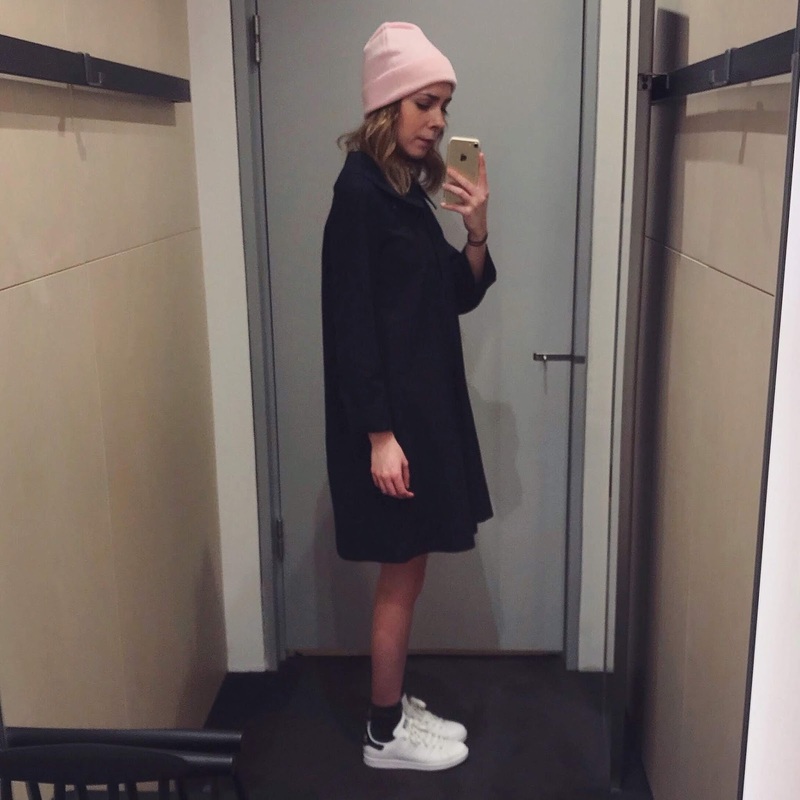 I originally tried it on in the fitting room with socks and trainers - and even though it's January and far from spring, I immediately knew this was the smock for me. So when I brought it home I got to thinking that I simply couldn't wait until warmer weather to wear it, and thought about how I could style it during winter. The first look is definitely inspired by the oversized nautical collar and is how I'd like to think I'd dress if I was a french sailor. Layering is key here - I'm wearing a navy H&M cashmere turtle neck and thick cotton Boden breton, which just peek below the collar and cuffs to add interest. Teamed with a pair of off-white cropped kickflare jeans and white/navy Stan Smiths to complete the nautical colour palette. This is my babushka doll outfit. All bundled up and ready to brave the cold winter months. Again, layering with the navy turtle neck and breton, but I wanted to wear it as a dress this time. Wearing my winter staple: the Primark super cosy tights, and my new Russell and Bromley faux-fur hiking boots and grey scarf for extra warmth and cosiness.